ALLOW OUR EMPLOYMENT LAW ATTORNEYS TO DRAFT OR INTERPRET YOUR MINNESOTA EMPLOYMENT AGREEMENT. Trepanier MacGillis Battina P.A. 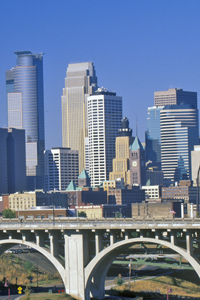 represents both employers and employees in Minnesota labor and employment law matters. We can help you prepare or review your employment agreement, non-compete agreement, non-solicitation agreement, non-disclosure agreement, confidentiality agreement, or independent contractor agreement. TMB also handles lawsuits involving the breach of employment contracts when either the employer or employee has violated an existing employment contract. Finally, TMB can also negotiate and draft separation agreements, severance packages, and releases of claims. We routinely represent executives outside of the State of Minnesota when faced with legal issues surrounding an employment contract with a Minnesota-based employers, especially if the contract contains a Minnesota “choice of law” clause. We also serve as local litigation counsel in employment contract lawsuits. Before making a job offer to an employee, offering a prospect an employment agreement, or accepting the terms of an employment agreement, take advantage of our initial legal consultation with one of the employment law attorneys of Trepanier MacGillis Battina P.A. We offer a two (2) hour customized legal consultation for the flat fee of $500. Click here to review the terms and conditions of our Initial Legal Consultation Policy. [HYPER-LINK TO INITIAL LEGAL CONSULTATION PAGE]. Please call us now or complete the contact form below to learn how we can help you negotiate, evaluate, or pursue legal claims regarding your Minnesota employment agreement. We look forward to the possibility of representing you.